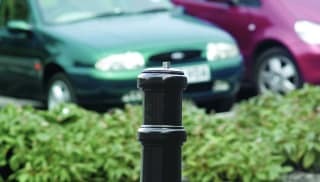 Marshalls' telescopic bollards provide a secure and cost-effective way to protect property and vehicles. 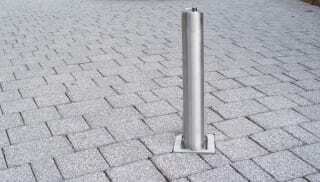 Ideal for restricting vehicle access and fully retractable, they are designed to lock into position when required and simply slide below ground when not needed, allowing the steel cap to close flush. 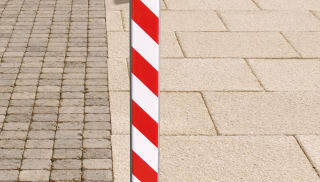 Reinforced anti-ram specifications are offered as standard across the whole Rhino commercial telescopic bollard range. 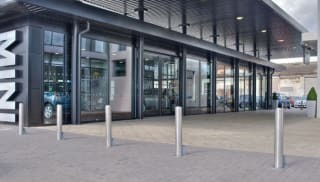 Telescopic bollards are manufactured in steel, stainless steel and polyurethane, with coordinating static posts available on request. Designed to complement all landscape design schemes, the steel and polyurethane options can also be supplied in a choice of 10 colour options. 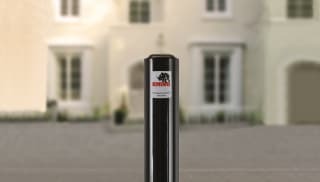 For domestic applications, the Rhino RT RD4 SS stainless steel telescopic bollard is ideal for protecting private property and vehicles, and requires minimal maintenance. 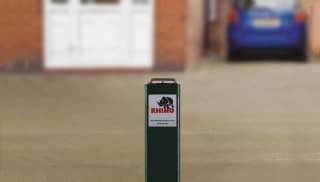 The equivalent street telescopic bollard, the Rhino RT SS5 Stainless Steel, is designed for commercial use with an anti-ram option available for when ram-raid deterrence is required. 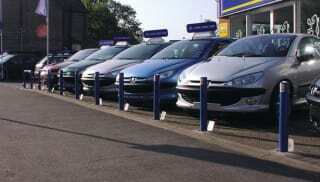 For further options, explore the full range now.